Despite the cold weather and rain we have had in winter, Clearview are delighted to announce that we have been very busy during this period. One of the jobs we have recently carried out was for Mr Anderson who was having major building work at his house. 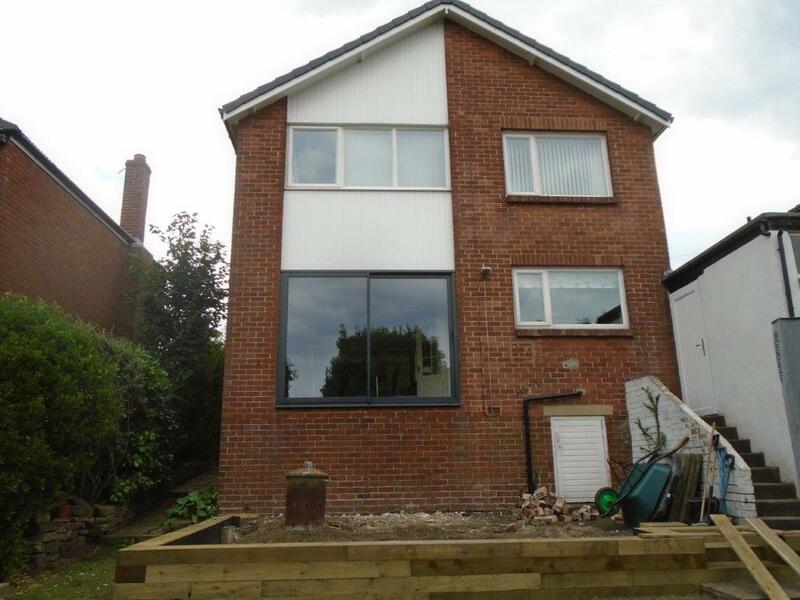 We visited his home to provide a quotation for two three pane sliding doors which were to be added to his brand new rear extension. 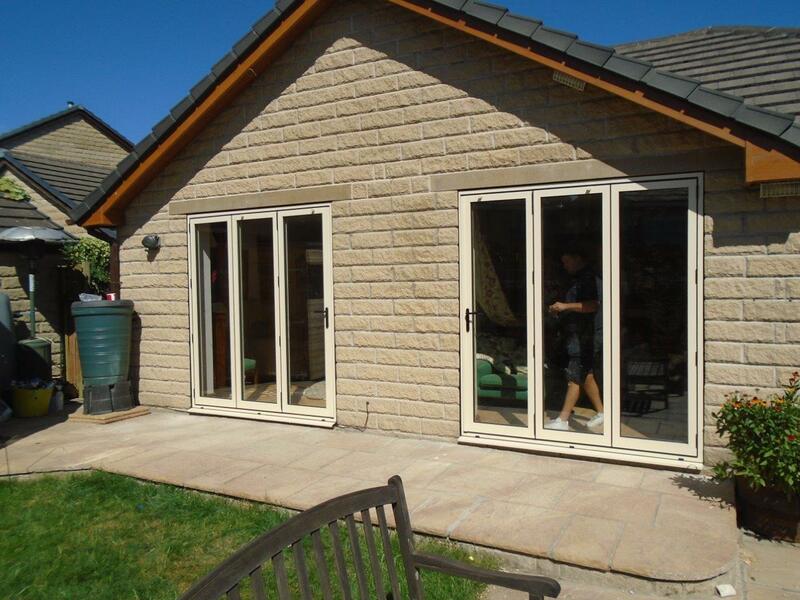 Due to our fantastic quality and price, we are delighted Mr Anderson took us up on our quotation and we then manufactured, delivered and installed the two sliding doors. They are both SMA Visoglide (BETA) sliding Window and Doors, with frames to fit 3520x2085mm openings and a sash 1207.7x2001mm. The only difference between the doors is that one slides to the left and the other to the right, exactly how the client wanted it. For additional quality, 2 full length pressings to sit under frame of each door and wrap over edge of bricks were added. 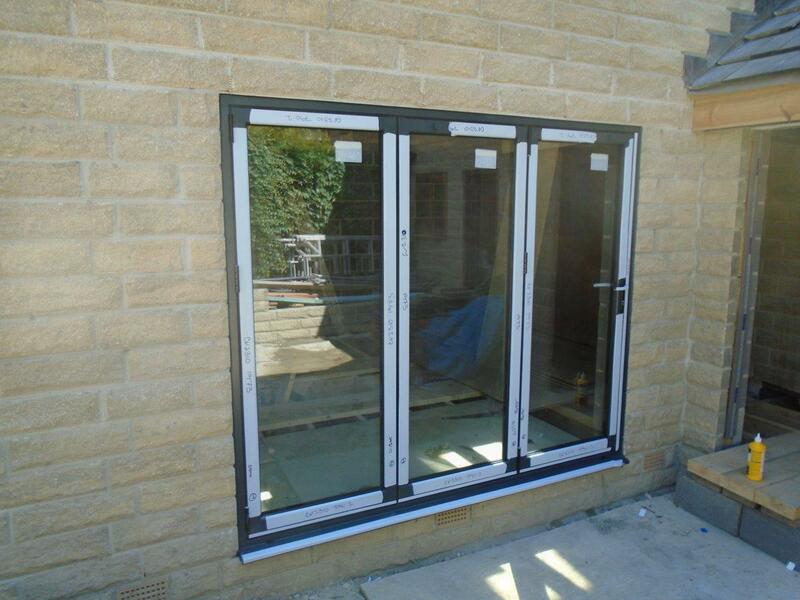 Sliding doors manufactured by Clearview also feature 4mm toughened outer, 20mm argon filled cavity, 4mm toughened low-e inner high efficiency glass. This glass helps to keep the warm weather out during the hotter months, making the inside cooler, whilst in the winter it helps to keep heat in and reduce financial costs. Mr Anderson was slightly concerned initially at the increase in the amount of glass, and whether it would make his home more susceptible to thieves. However, his fears were put to ease with our high security quality on all our doors. They all come with Anti-Bump, Anti-Pick, Snap Secure, Kitemarked high security locks as standard and additional multiple locks can be added should you require. A ten year guarantee is also standard so should something go wrong with one of your products in that time scale, you can have it replaced quickly and at no additional cost. Sliding doors are a great way to add character and additional lighting to your home, so if you are interested in finding out more information about these products, please contact one of our team on 0800 1357167 at your earliest convenience.